Includes Autoslide Standard opener attached to wall mounted track, (2) wireless wall buttons. 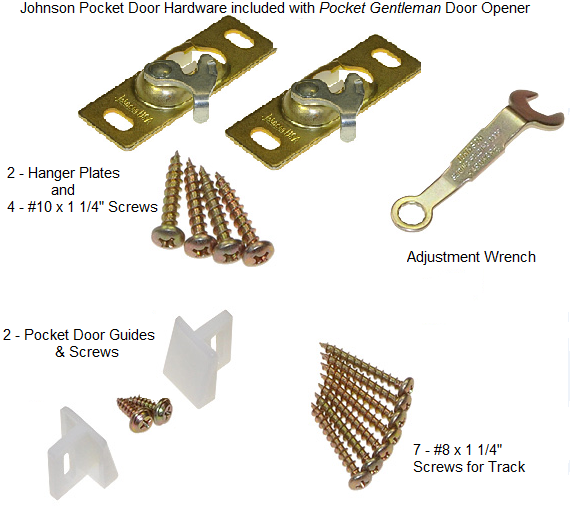 Johnson Hardware includes Quad HD ball bearing hangers rated for a 200 lb. door! Custom sized between 24" to 36", 42" special order. Quick solution for bathroom wheelchair accessibility! Fast Install! Opening Size (Single Door) -- 24" 28" 30" 32" 36" 42"